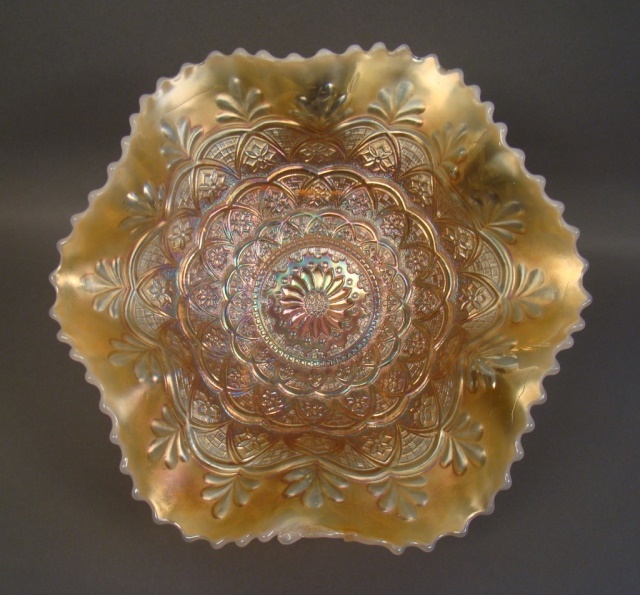 Overlapping crescents distinguish this pleasing pattern–almost more of a texture when seen from a distance. 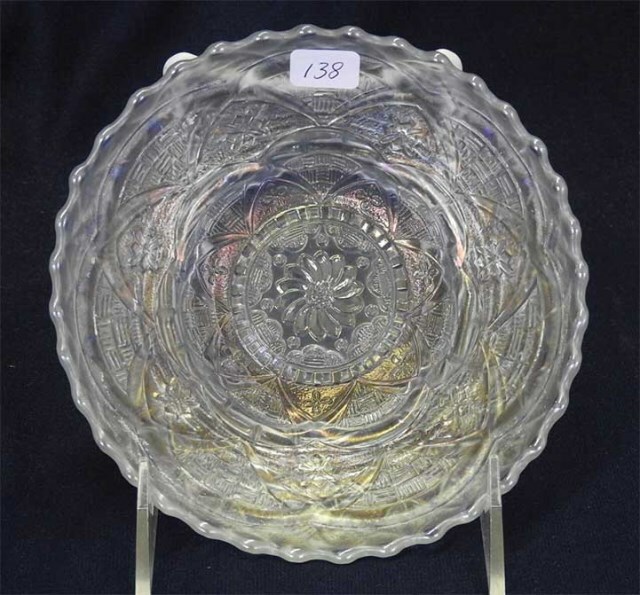 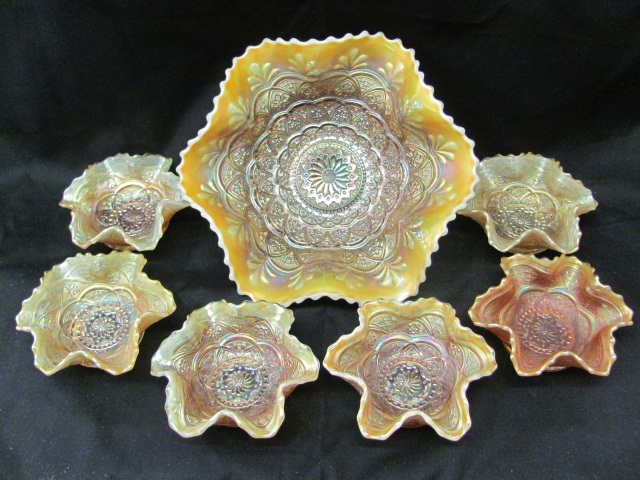 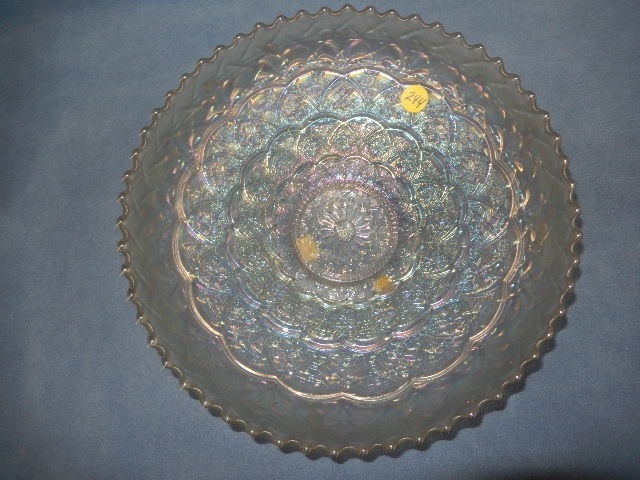 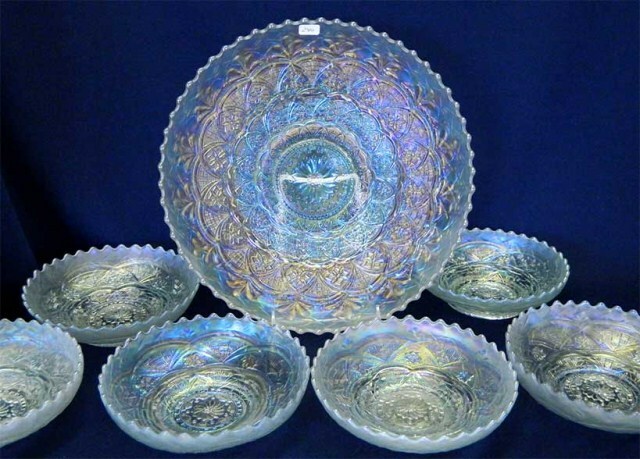 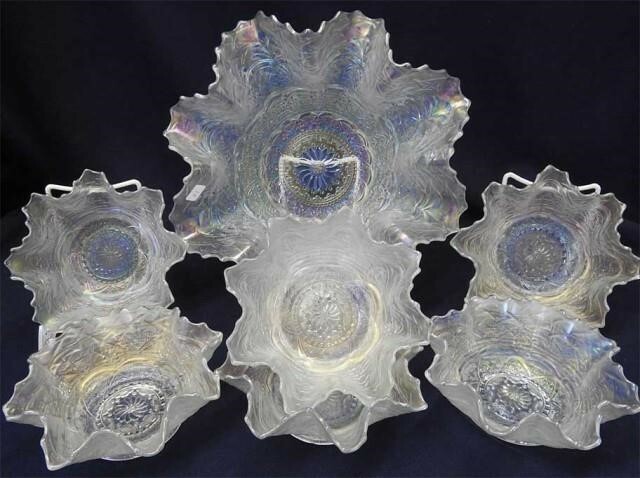 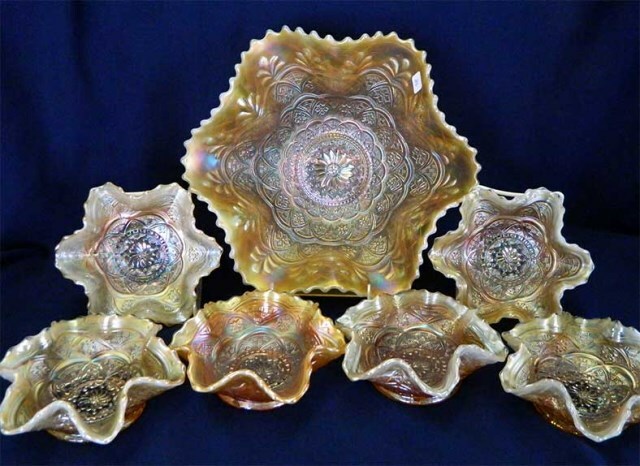 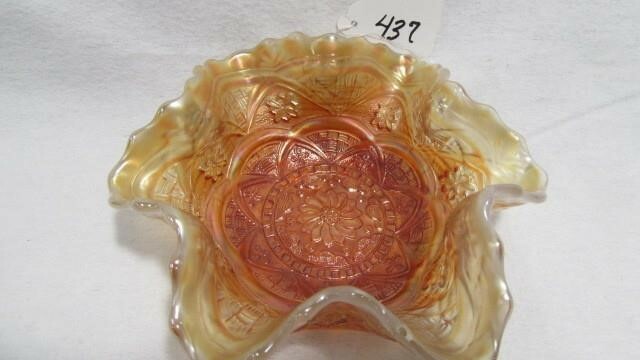 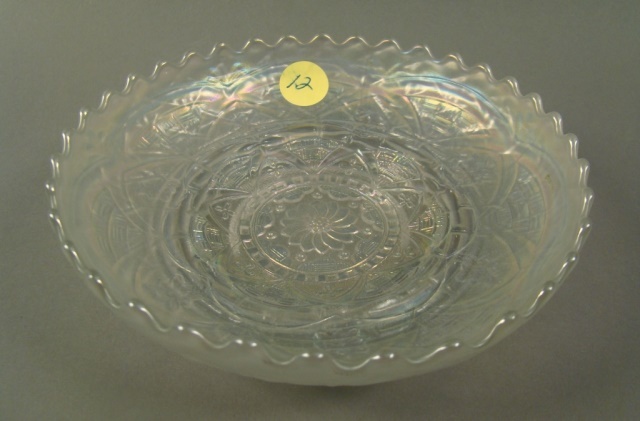 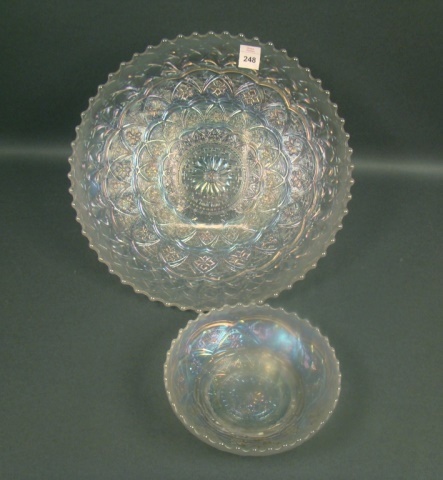 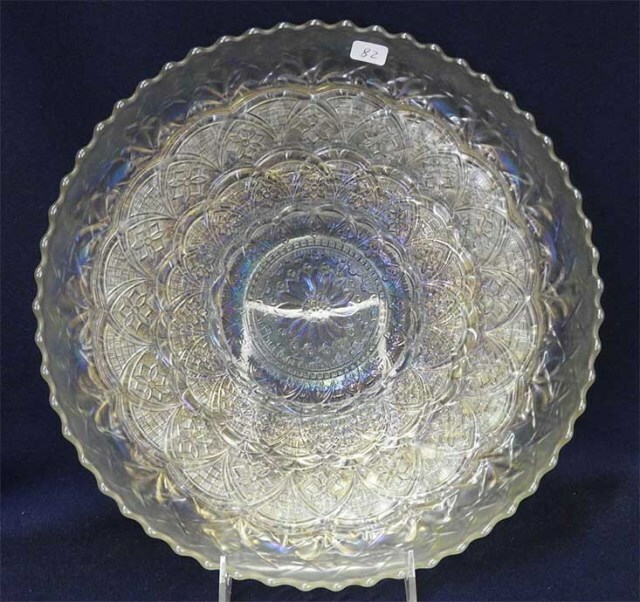 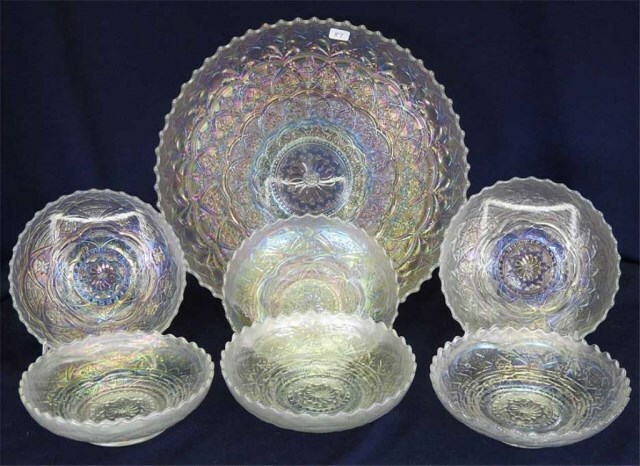 Made from two main molds, one used to make the large ice cream shape (above left), chop plates, and fruit bowl tops, and one for most of the small plates and berry or sauce dishes. 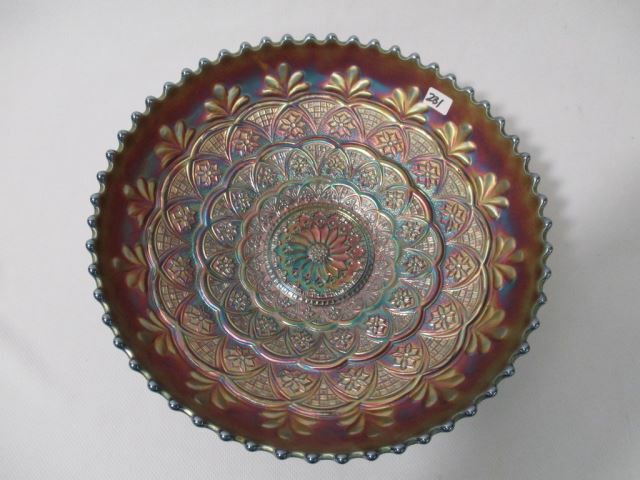 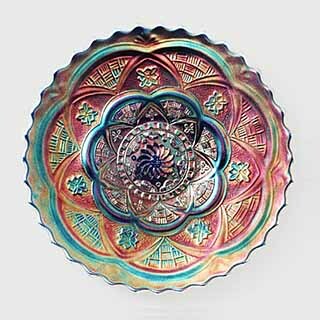 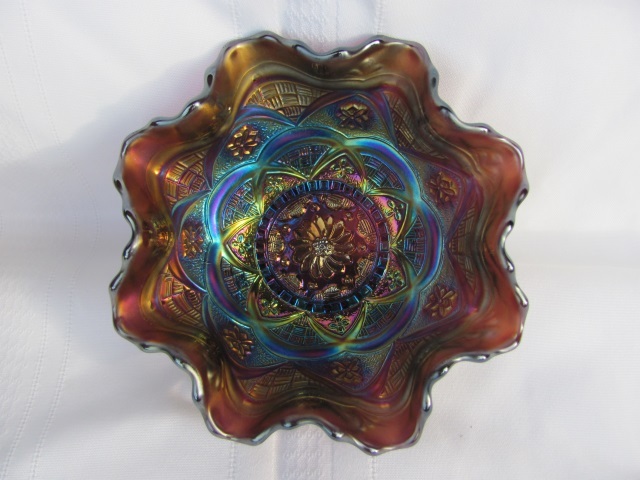 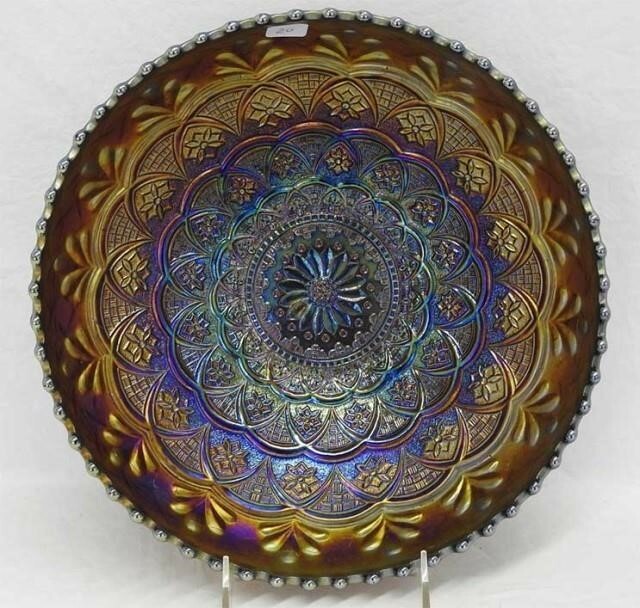 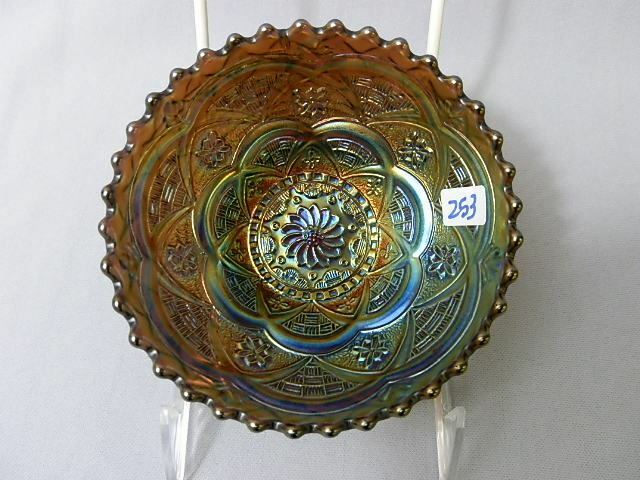 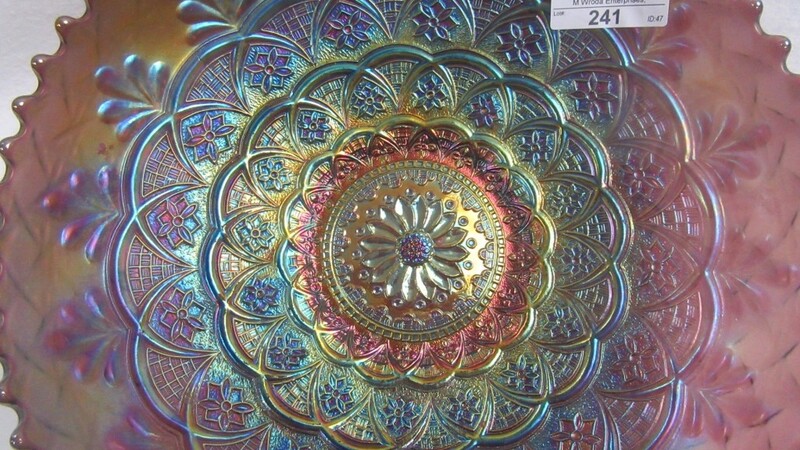 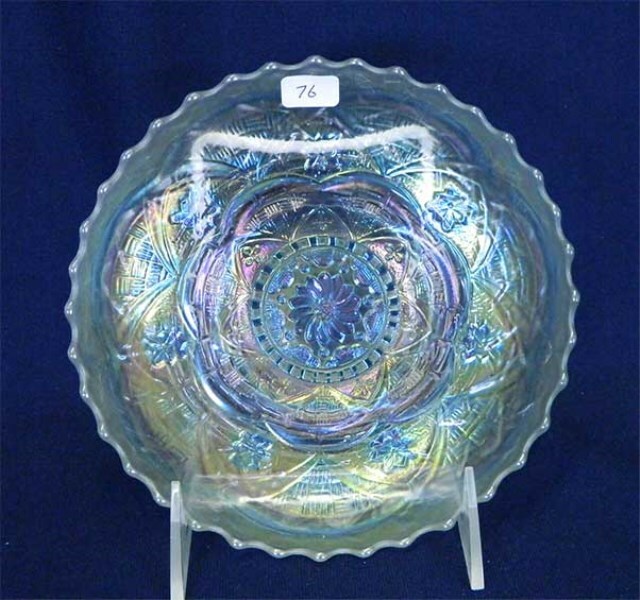 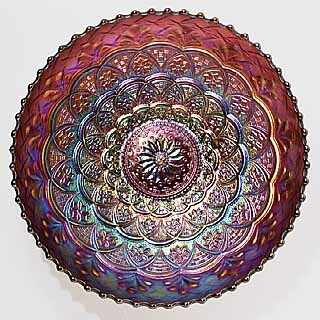 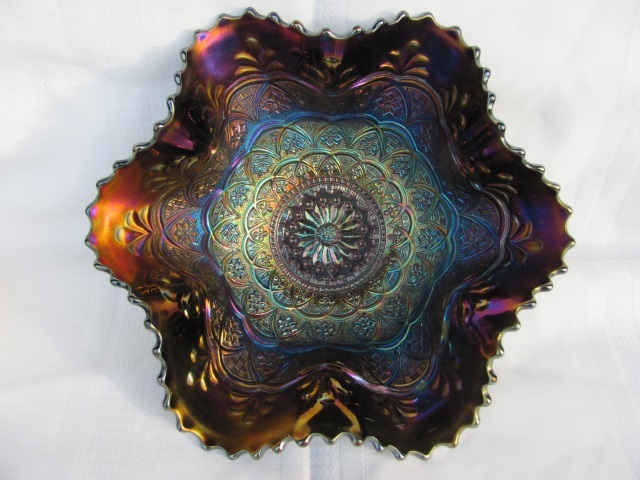 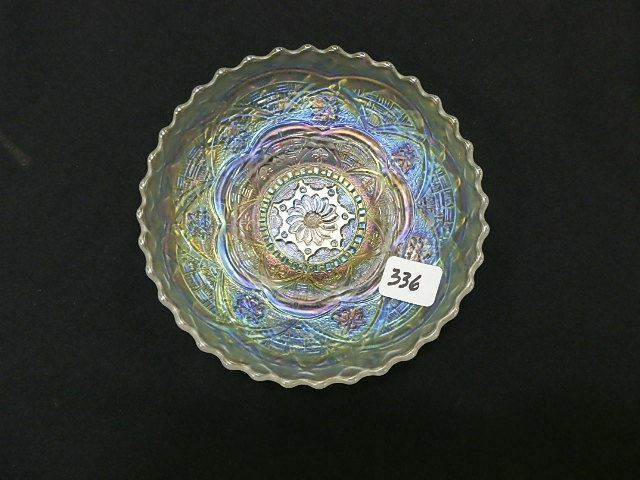 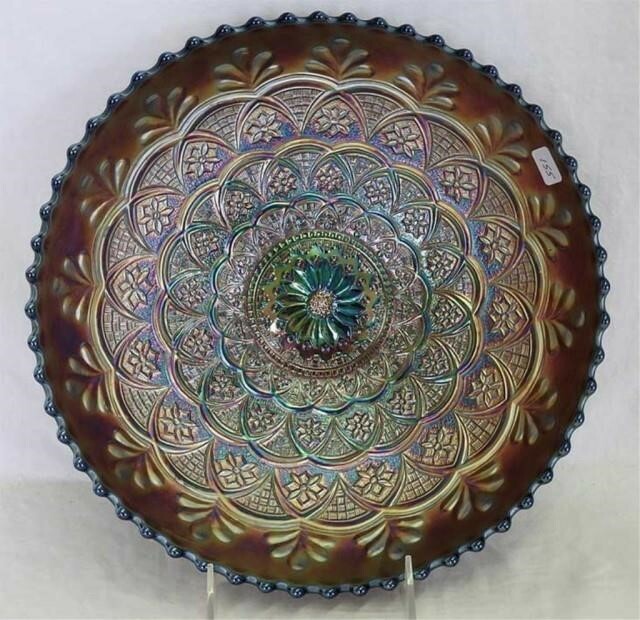 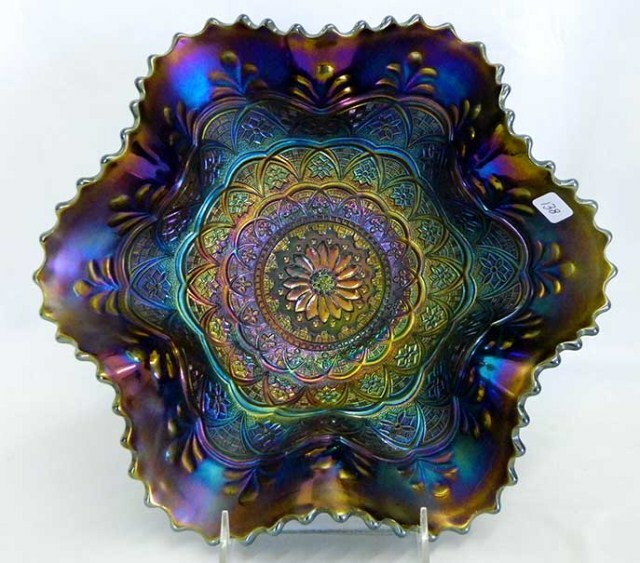 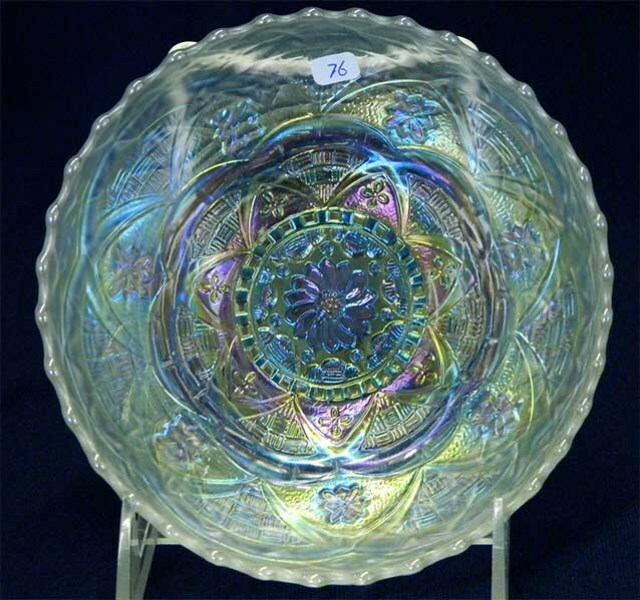 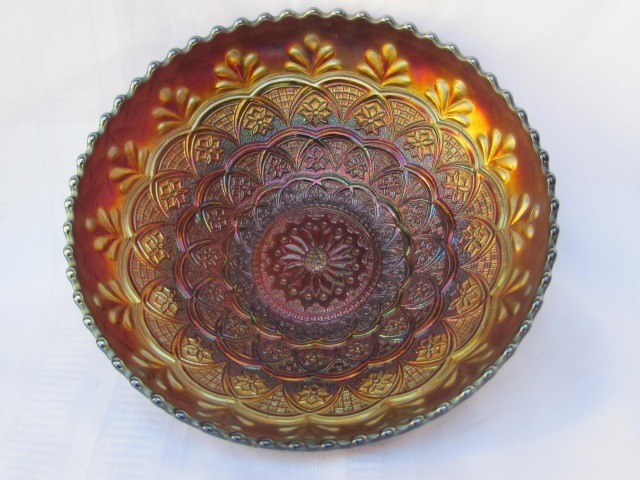 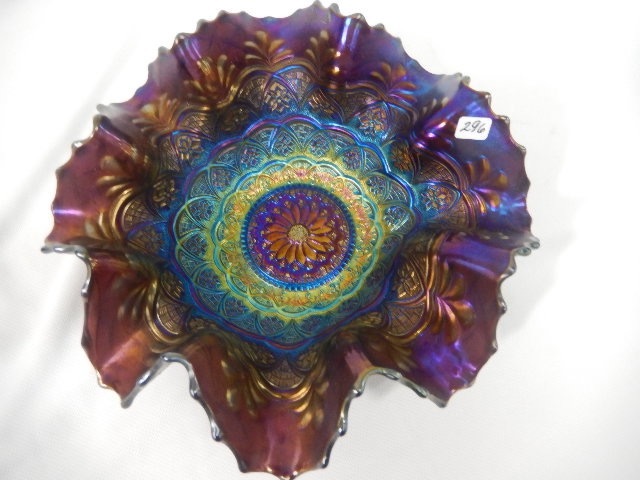 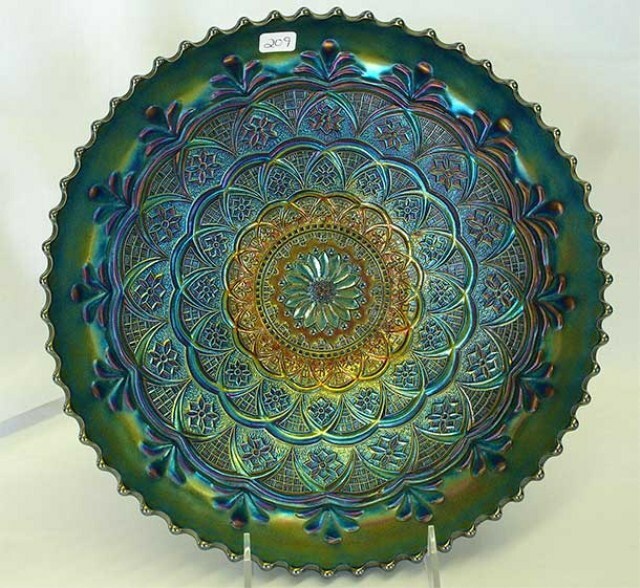 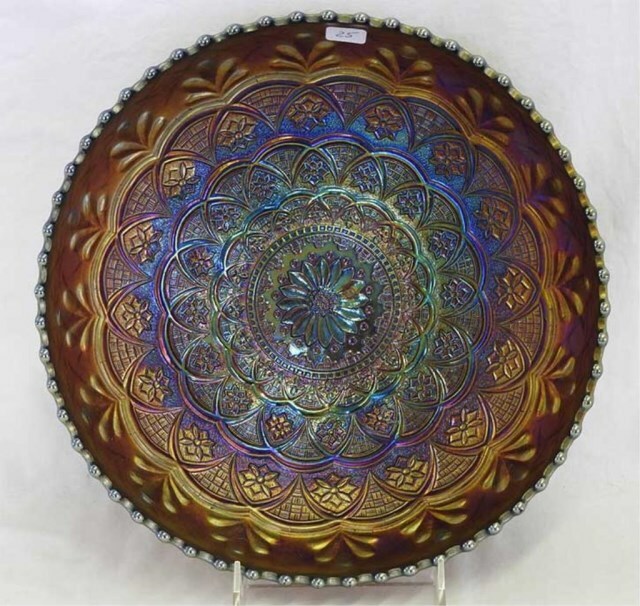 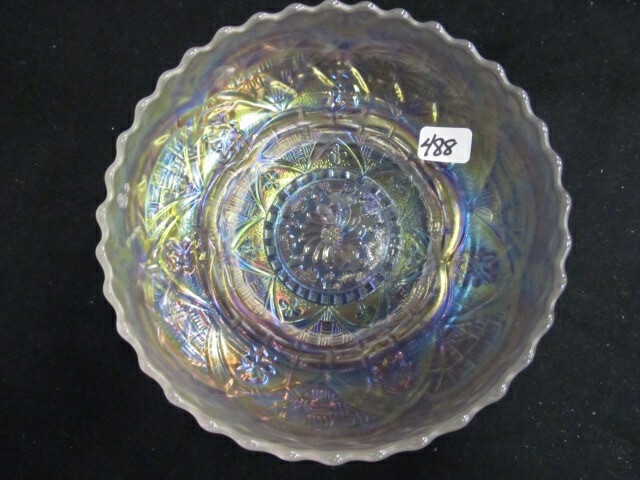 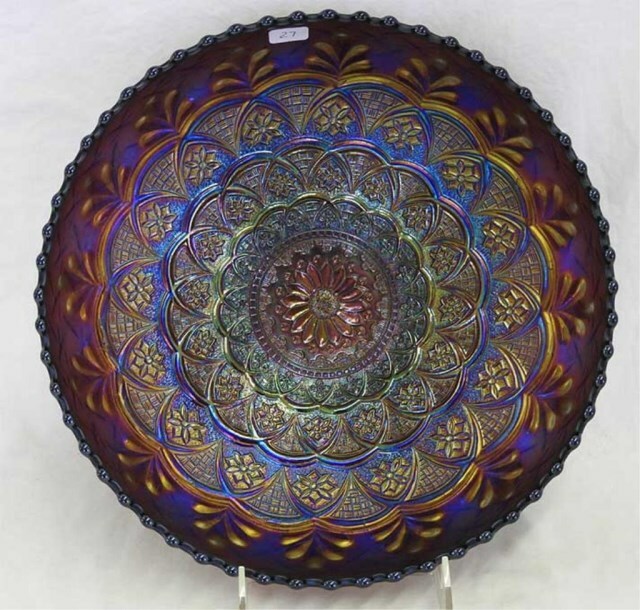 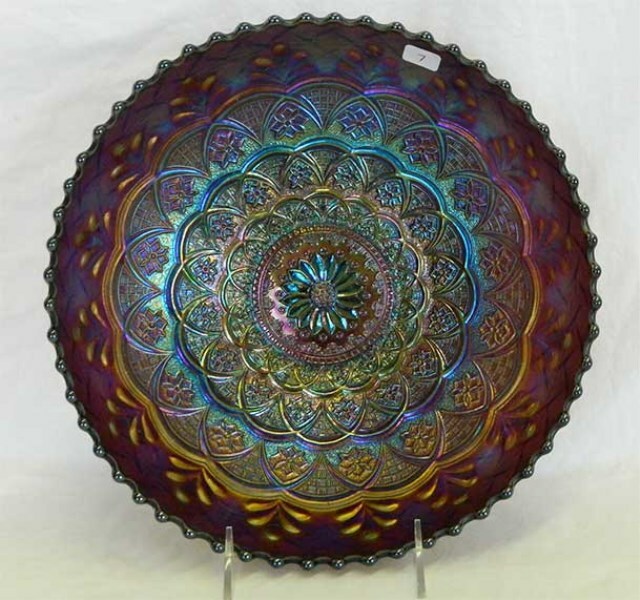 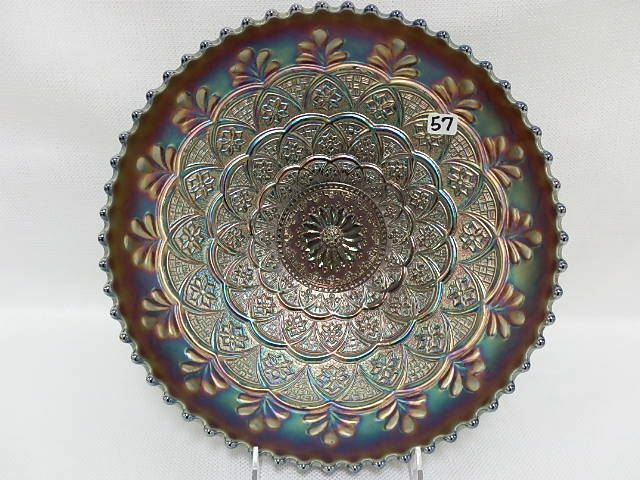 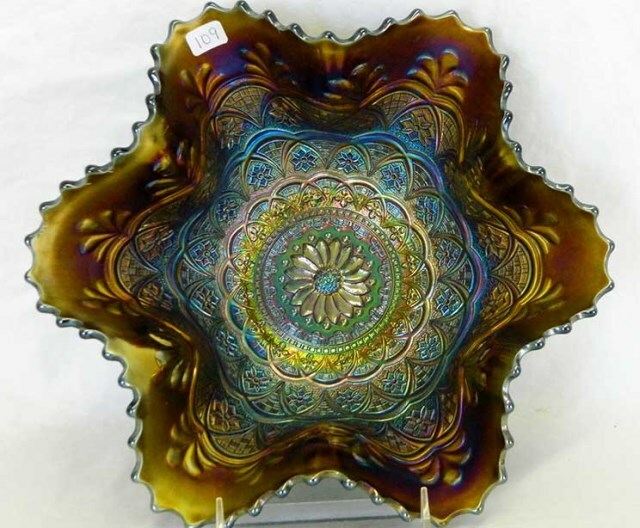 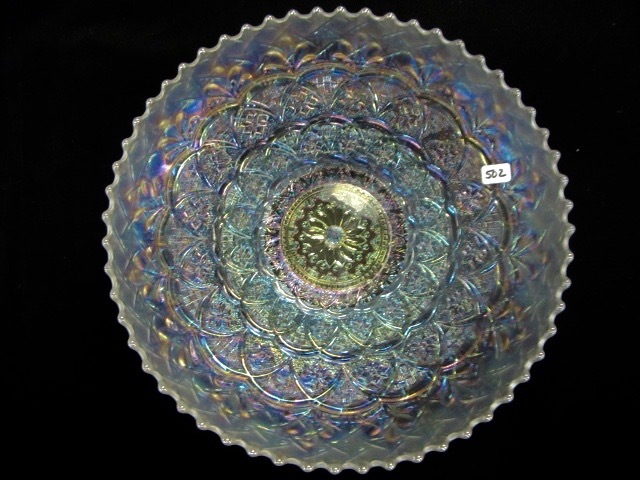 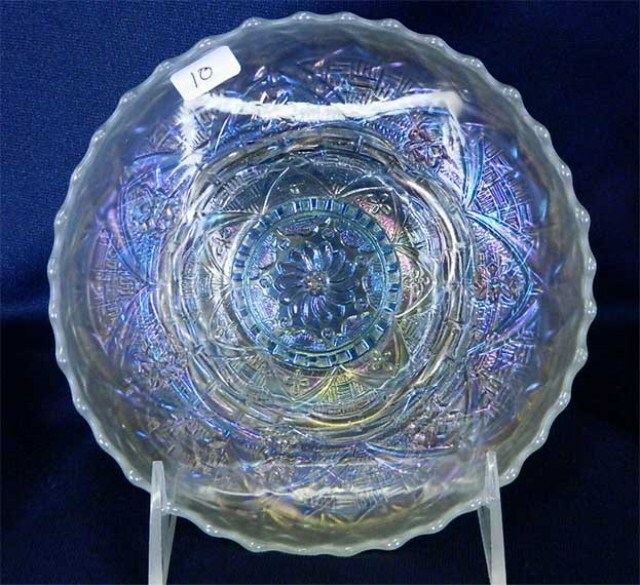 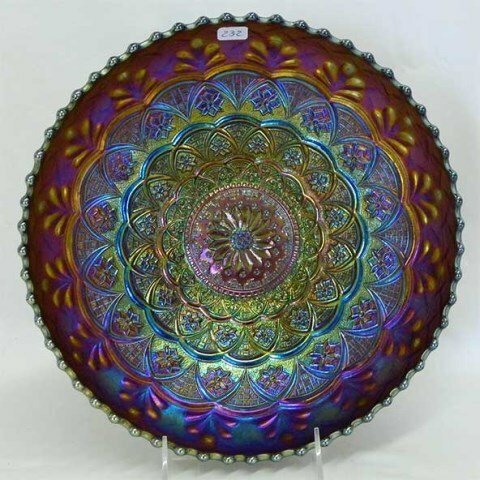 Above right is an example of a small plate, this one in blue (a rare color in this pattern). 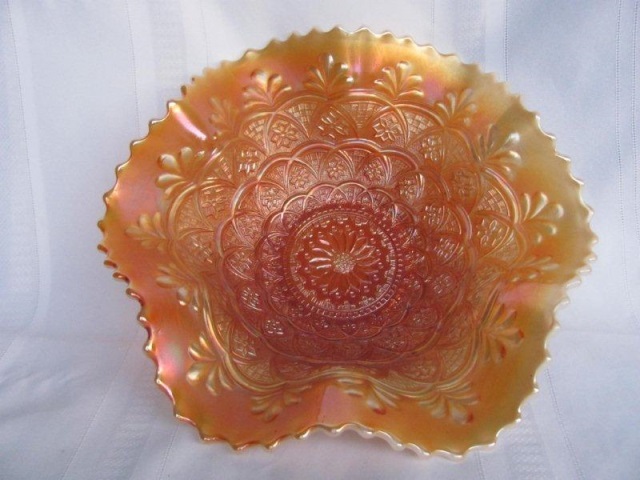 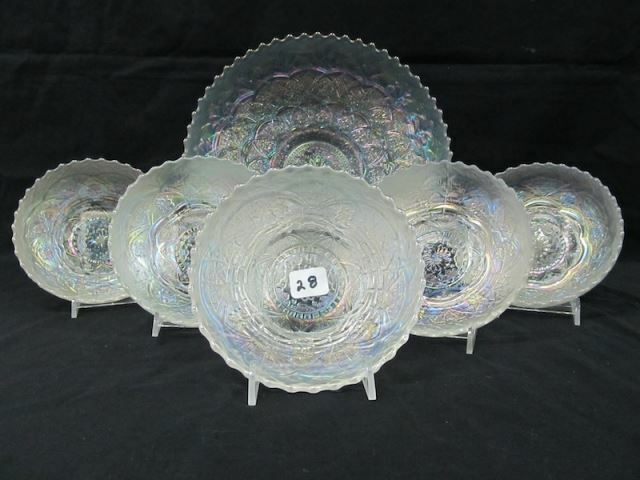 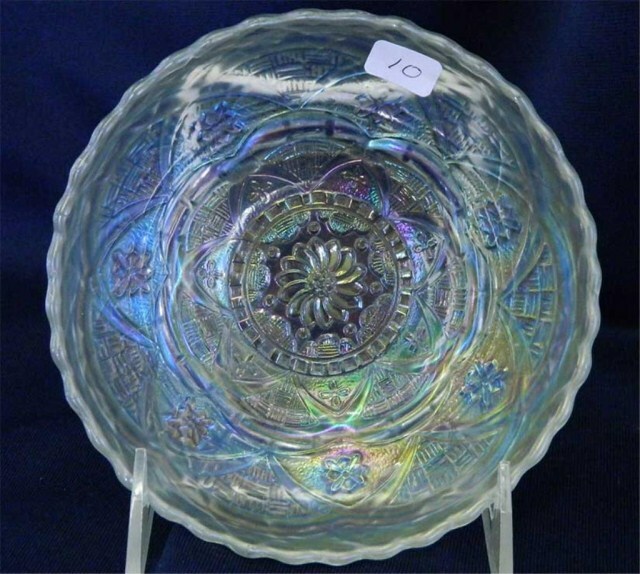 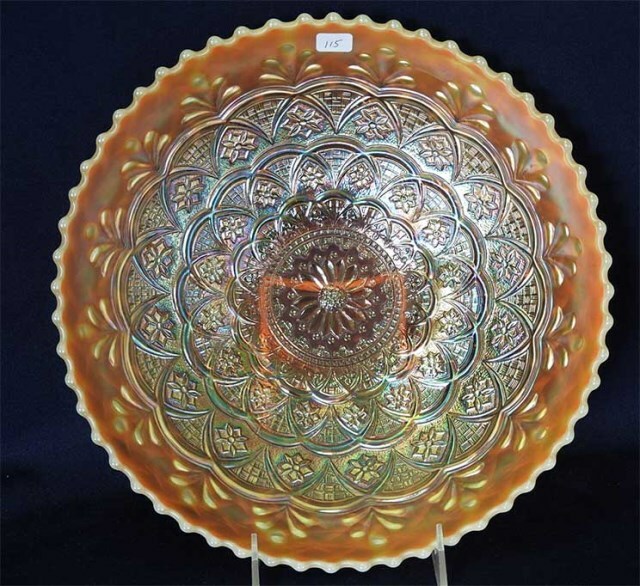 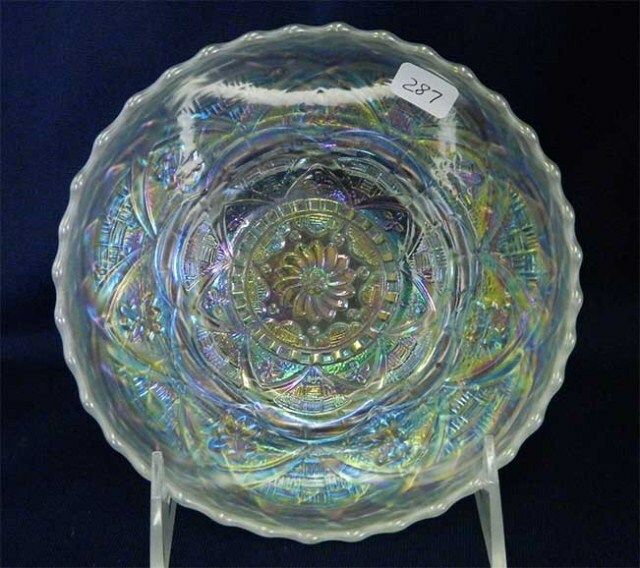 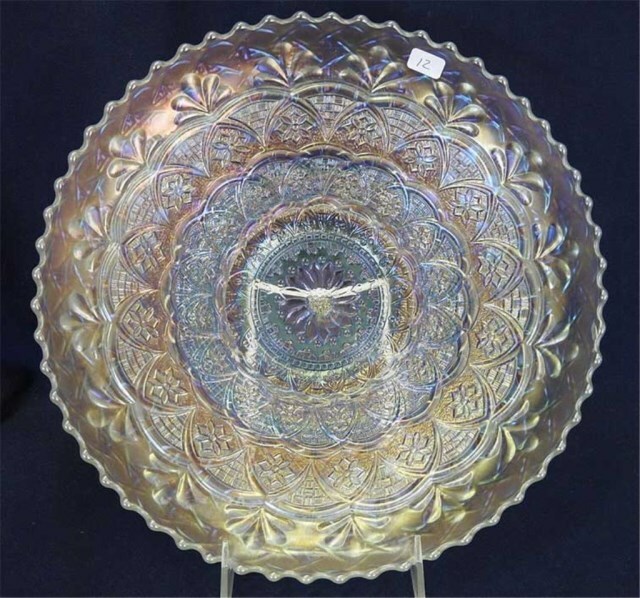 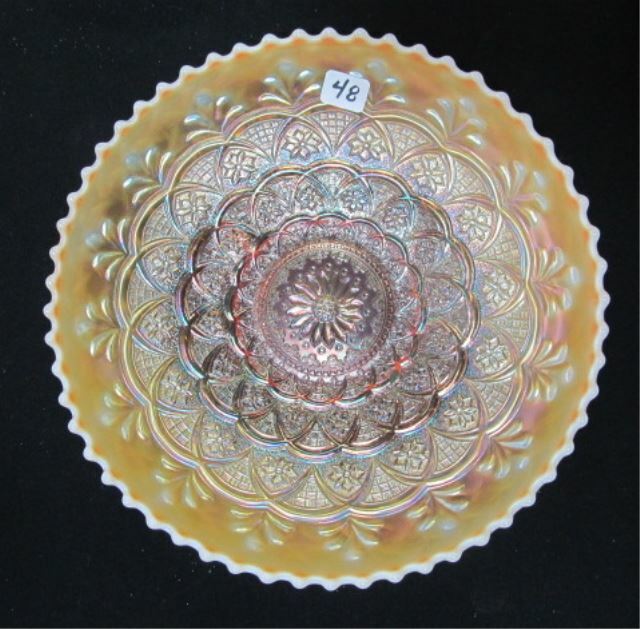 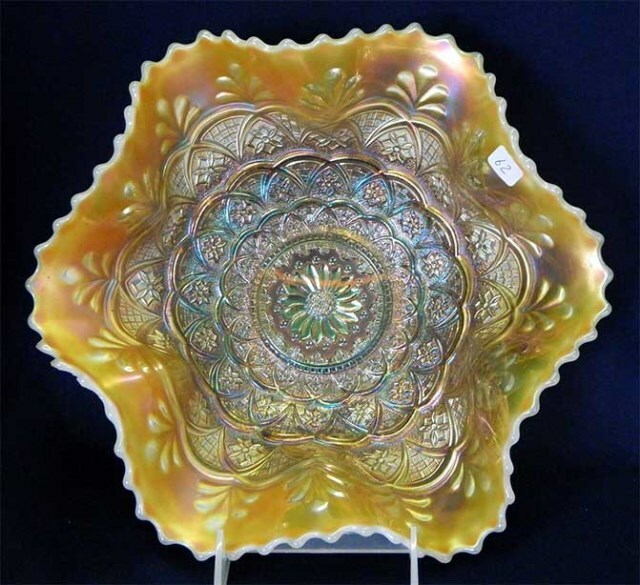 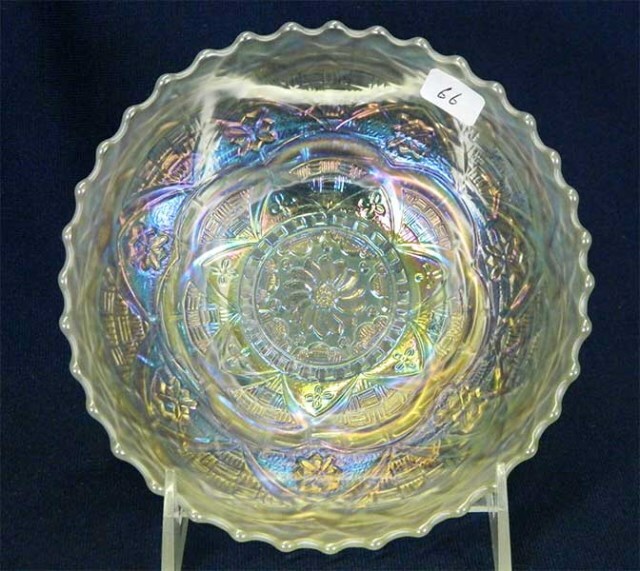 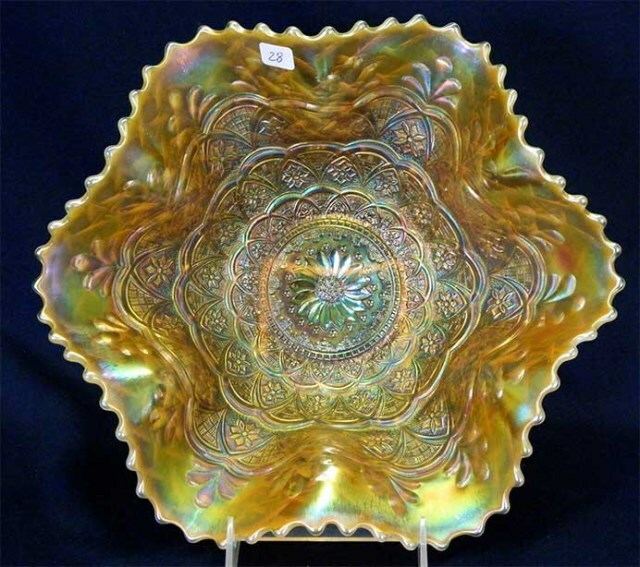 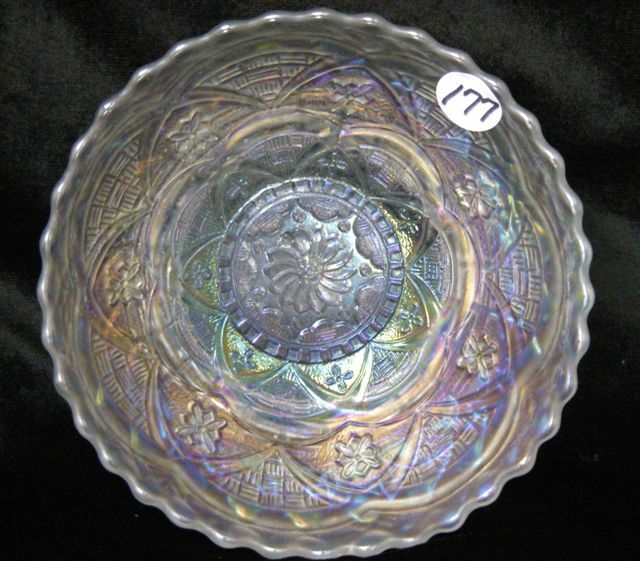 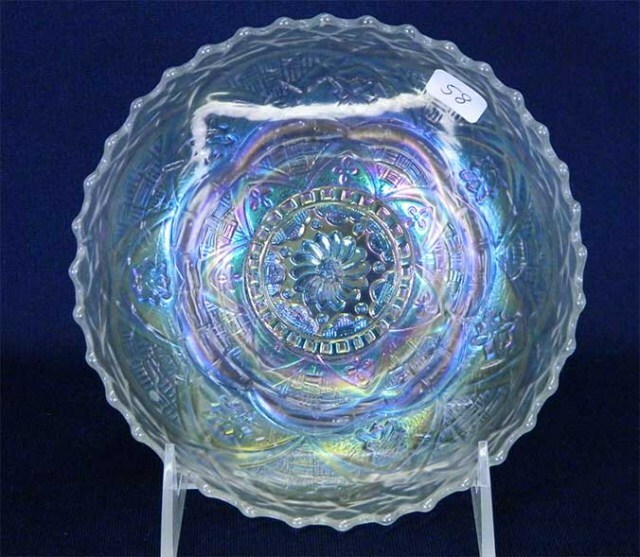 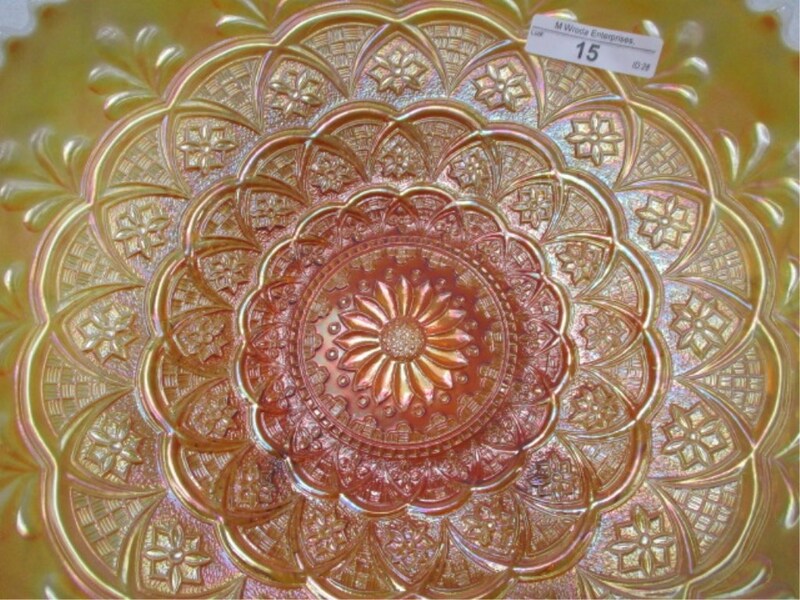 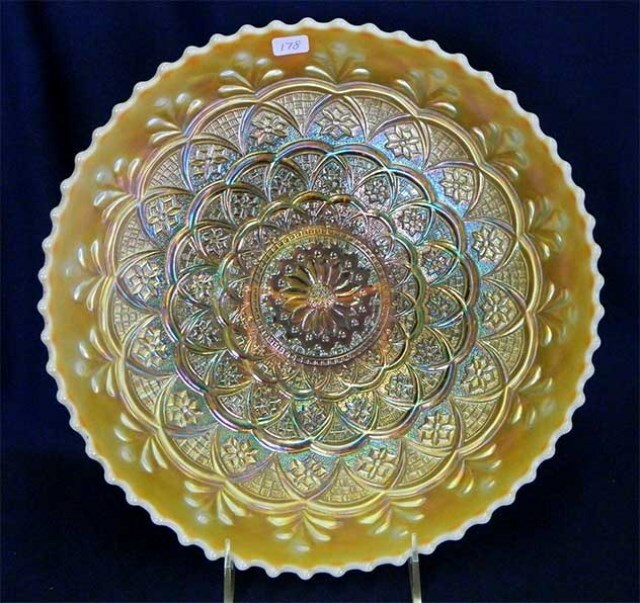 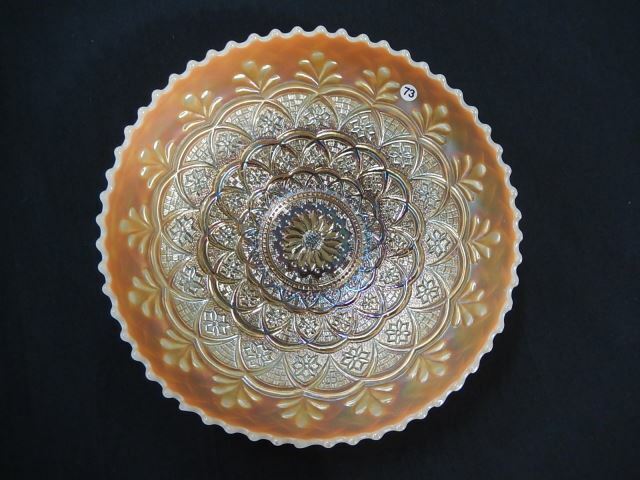 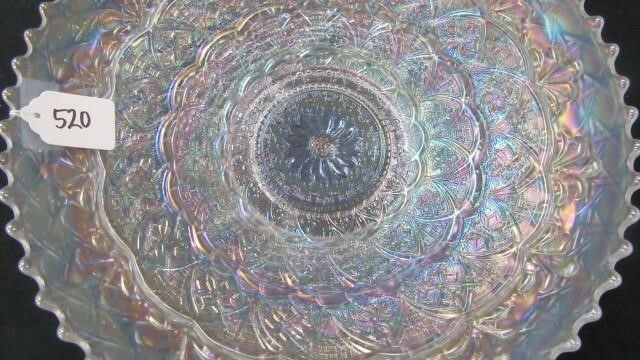 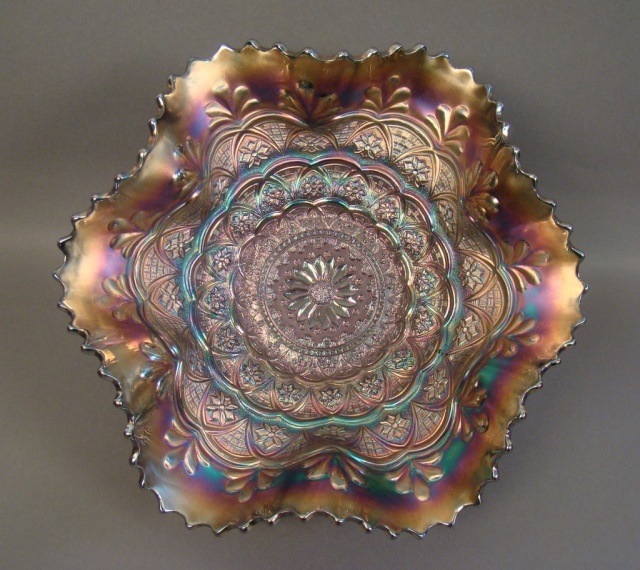 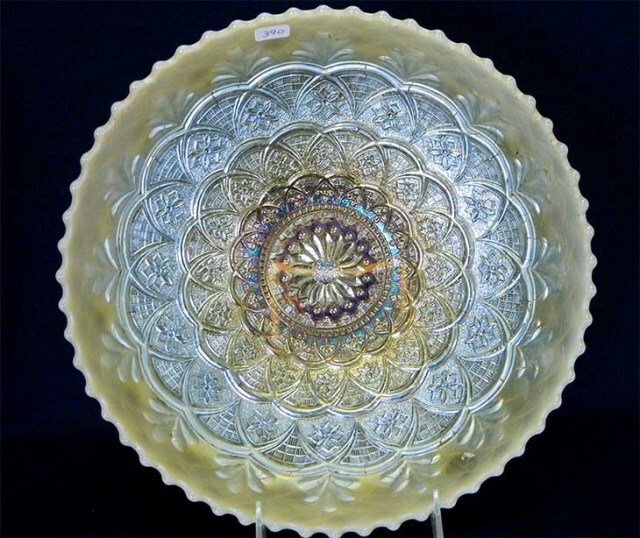 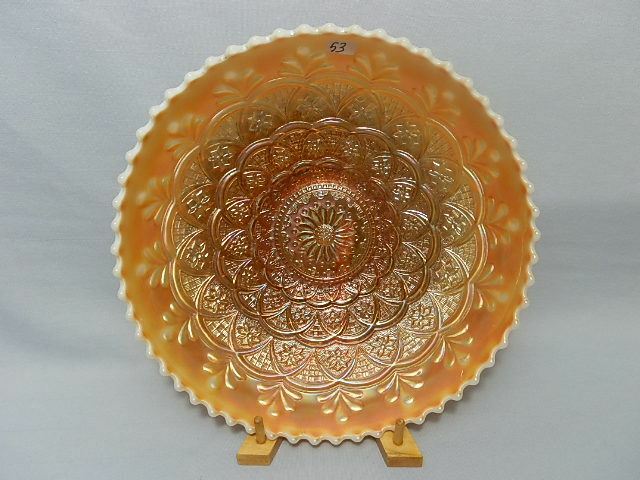 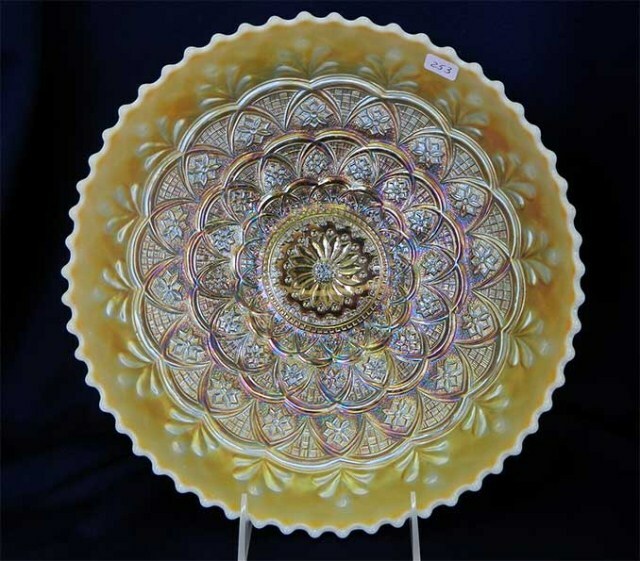 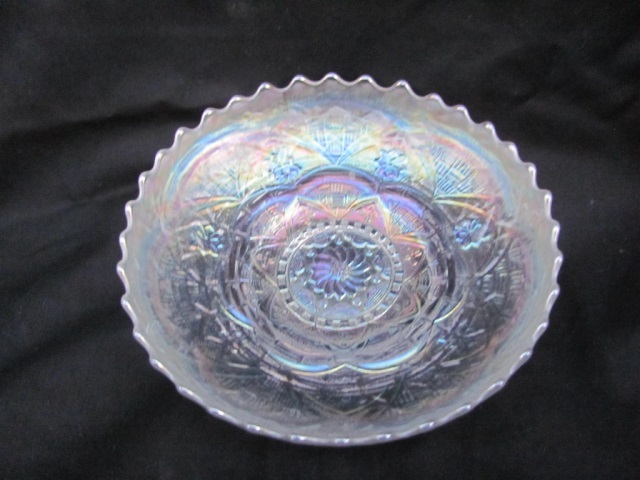 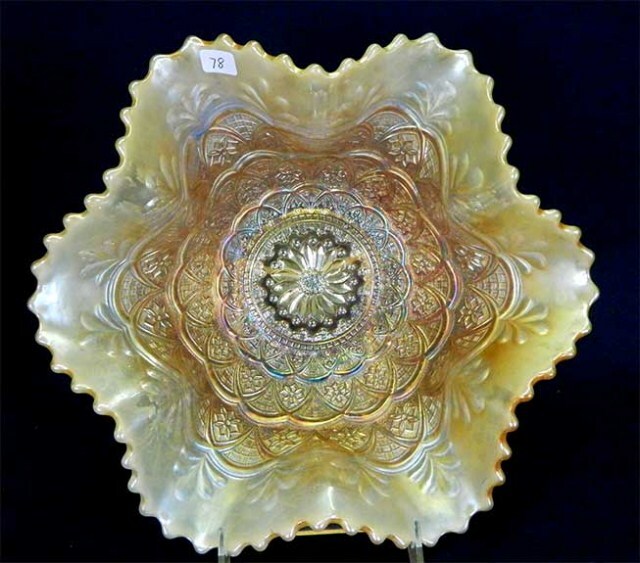 One slightly different mold was used for a variant of the small plates that has a pattern on the back called Pool of Pearls–and found only in white, for some reason. 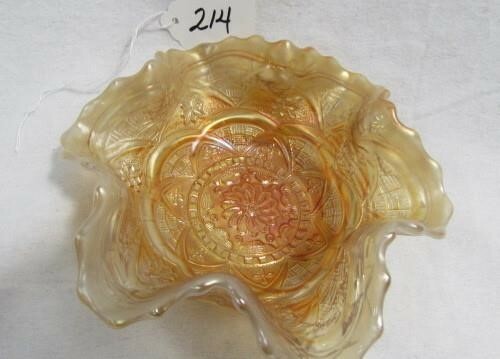 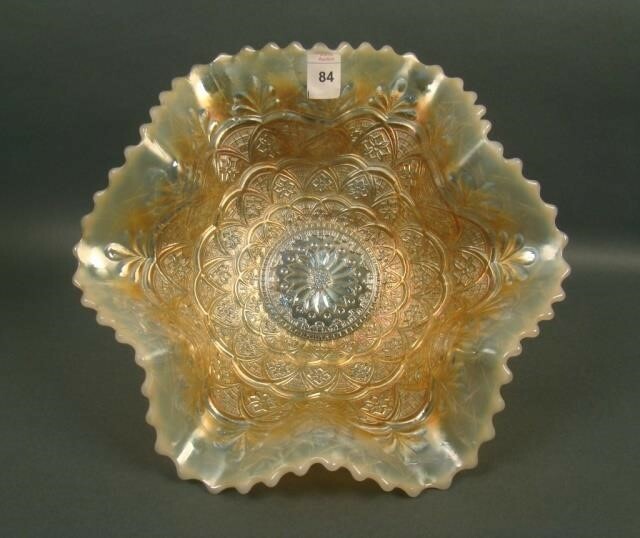 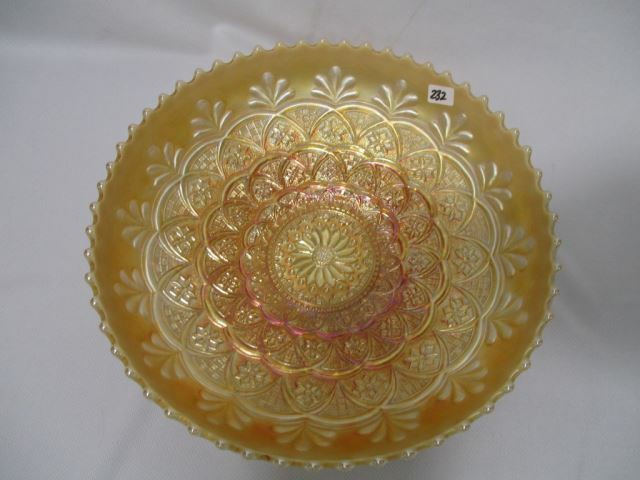 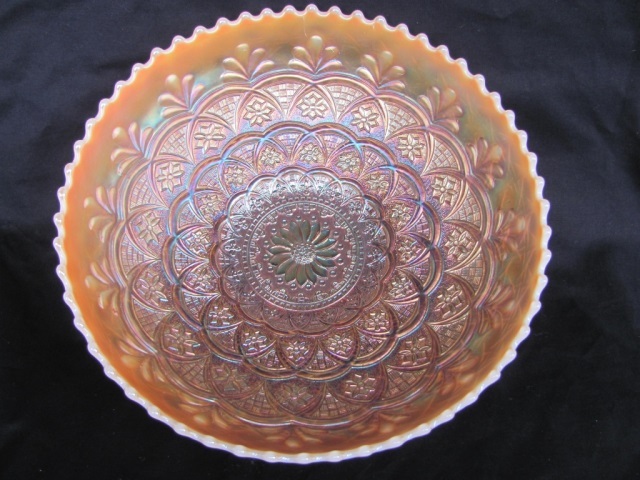 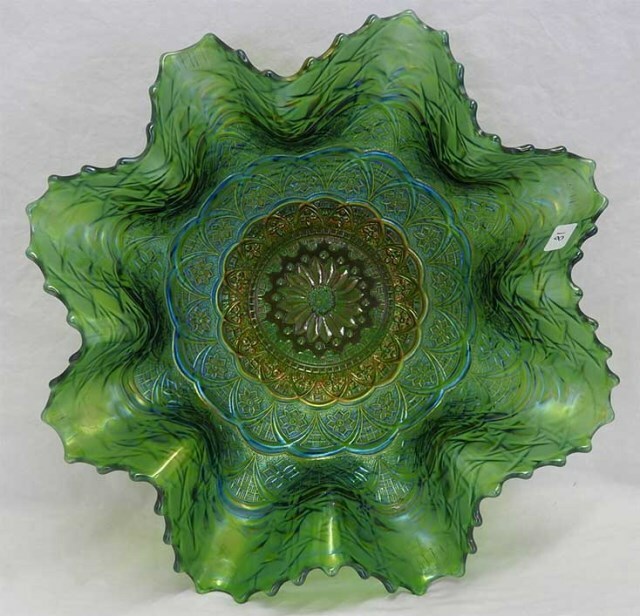 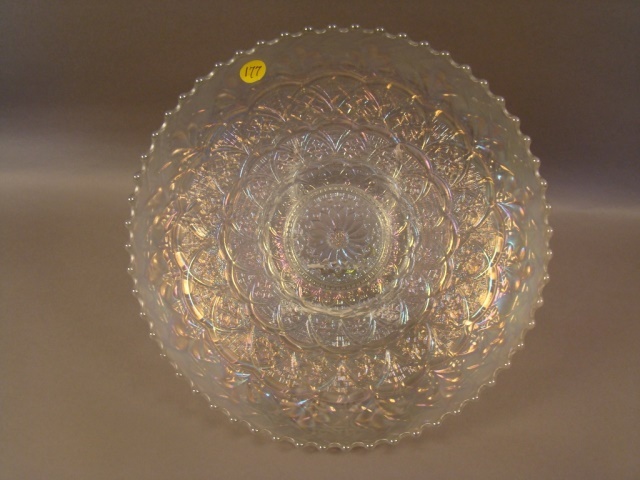 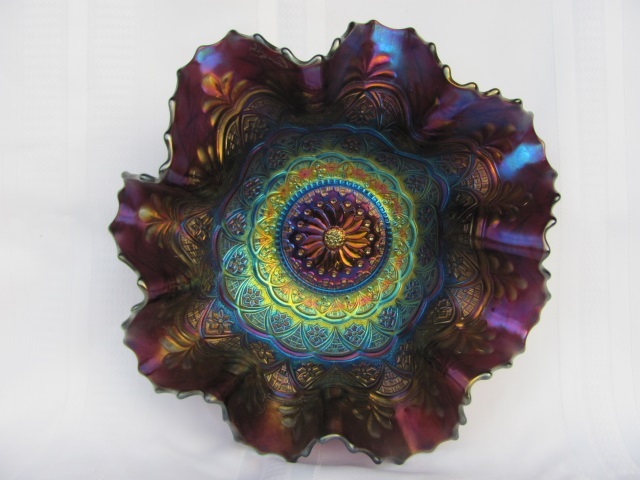 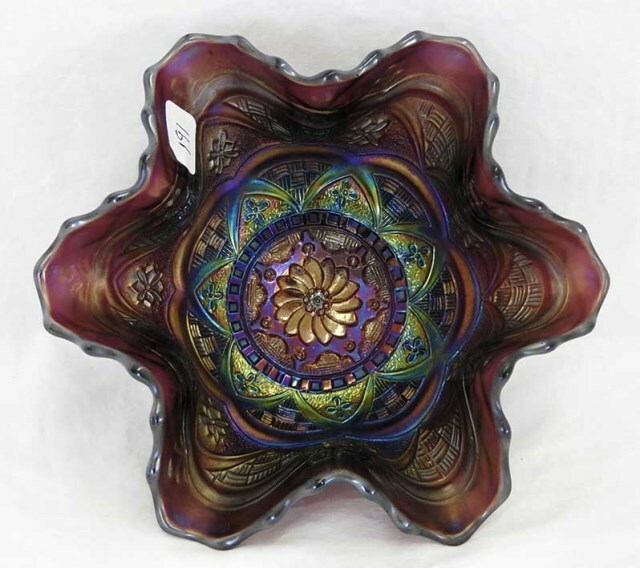 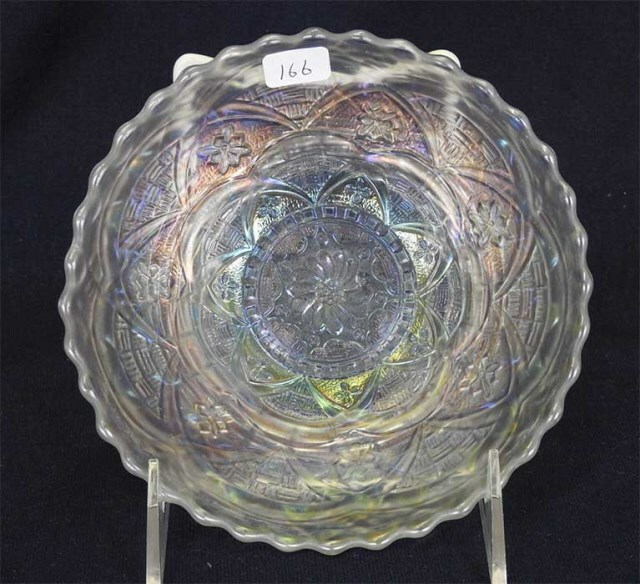 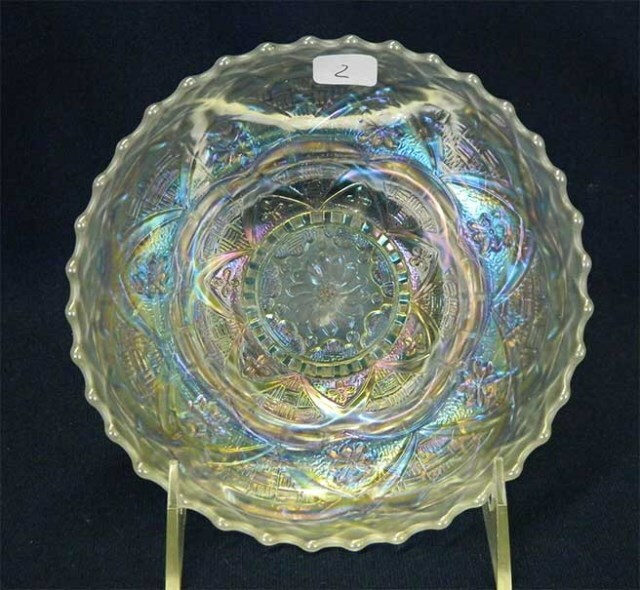 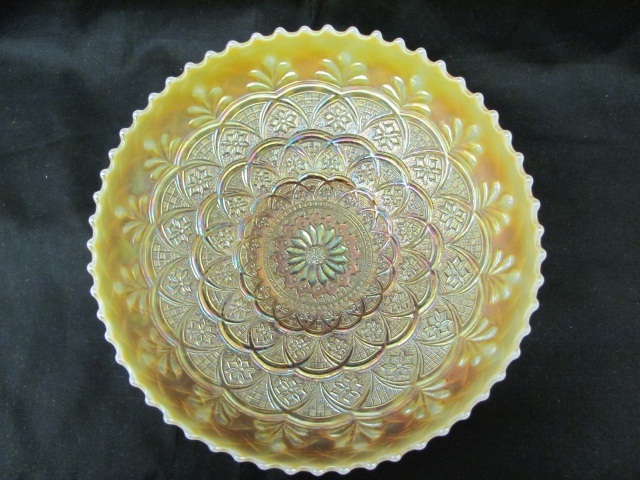 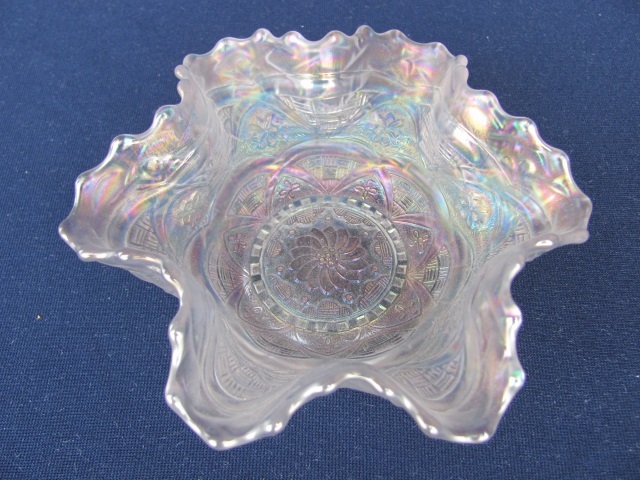 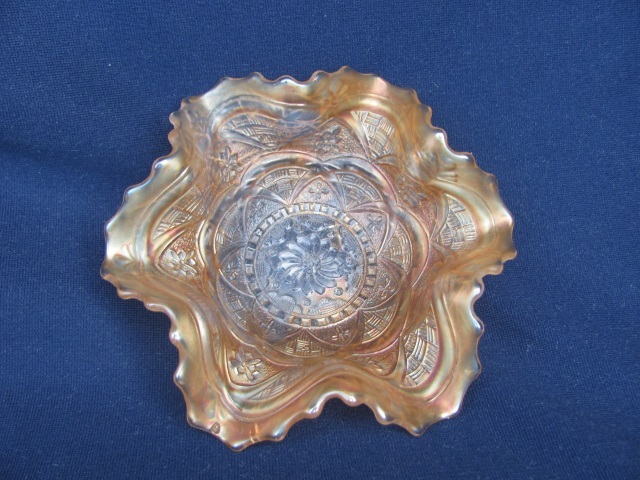 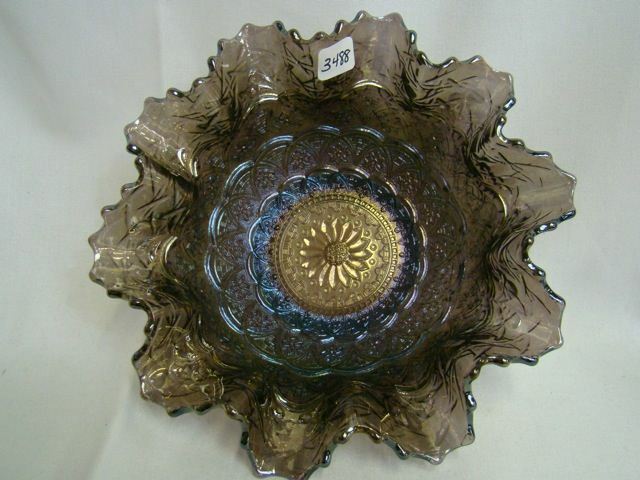 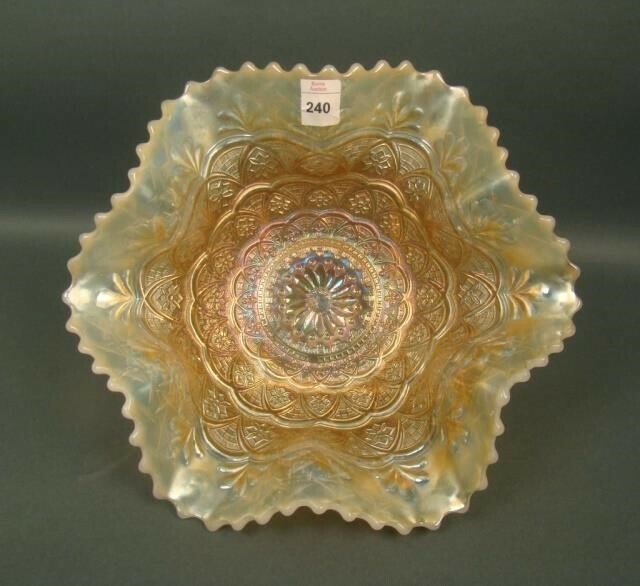 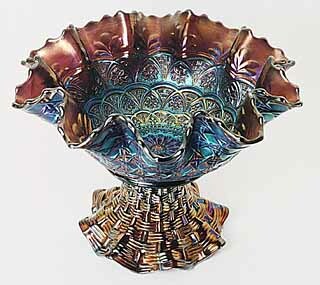 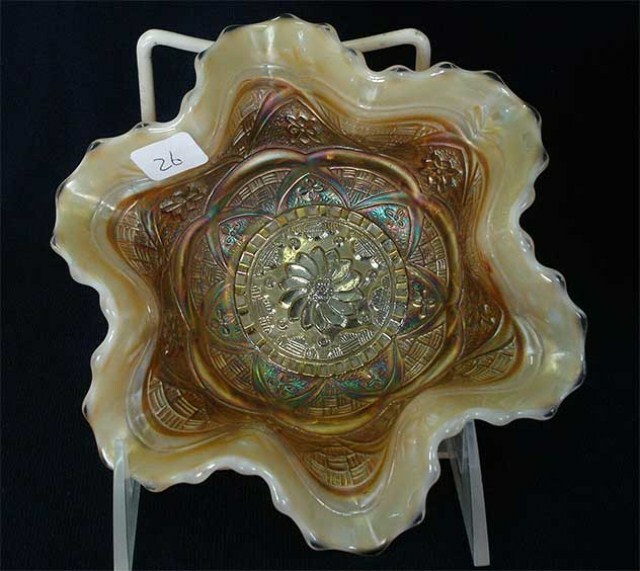 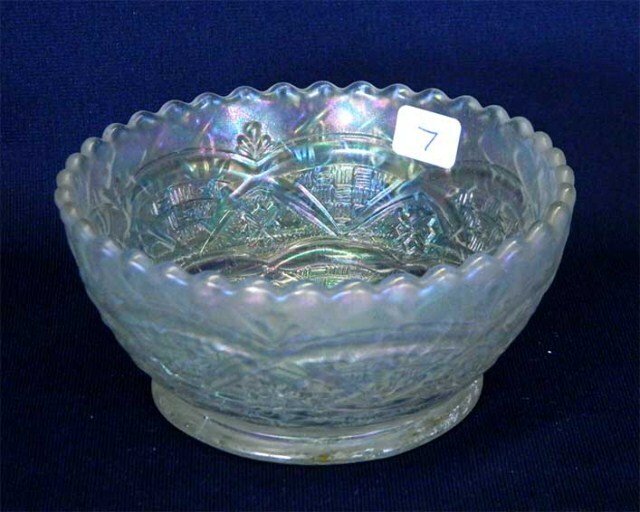 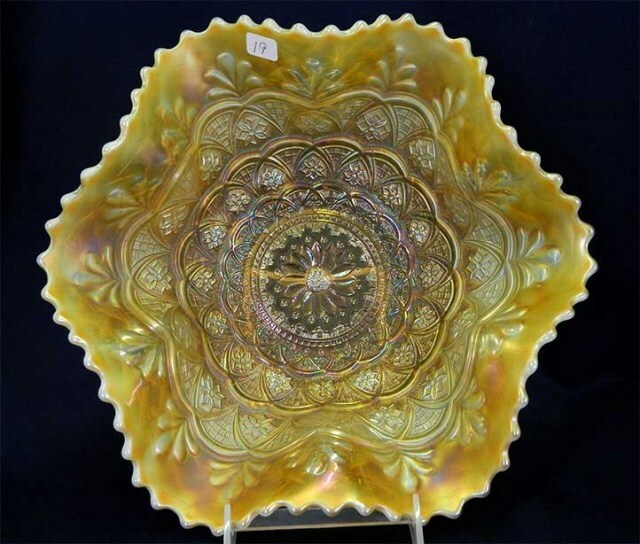 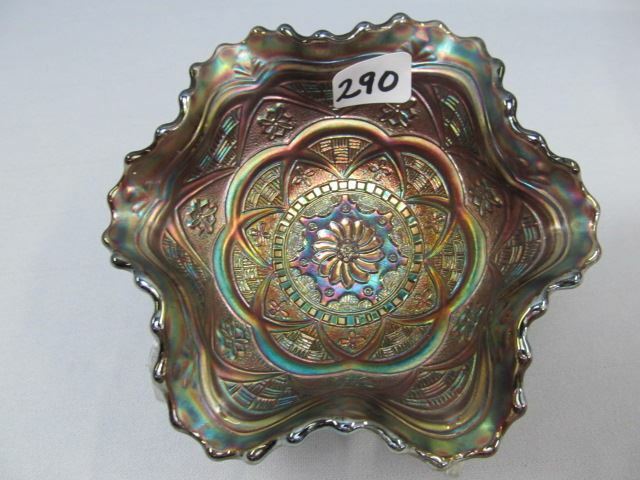 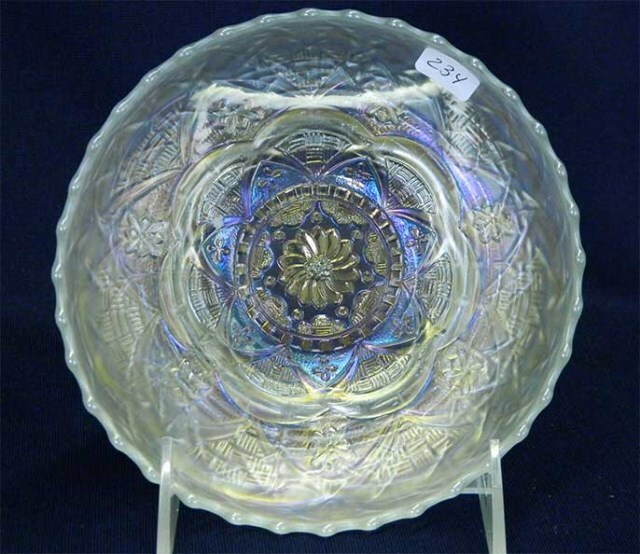 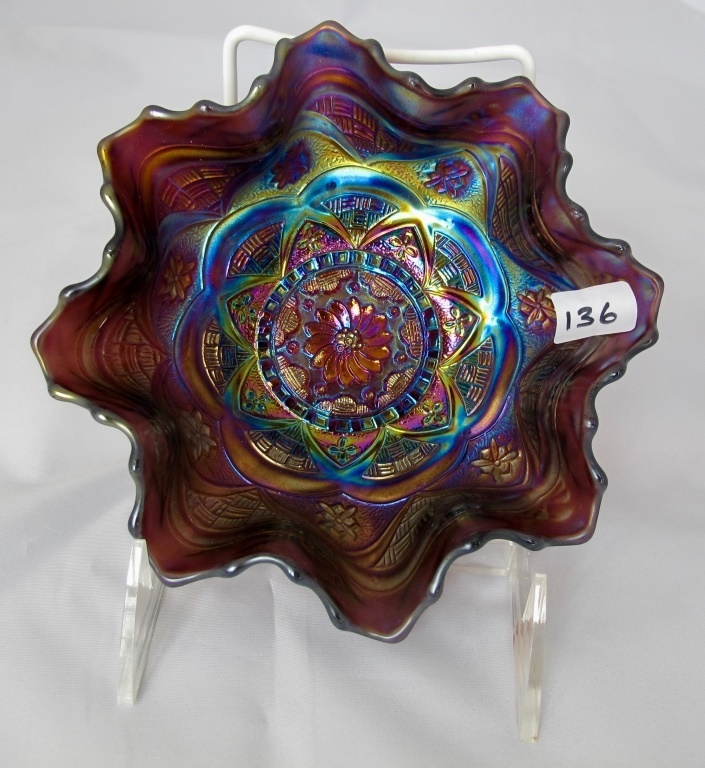 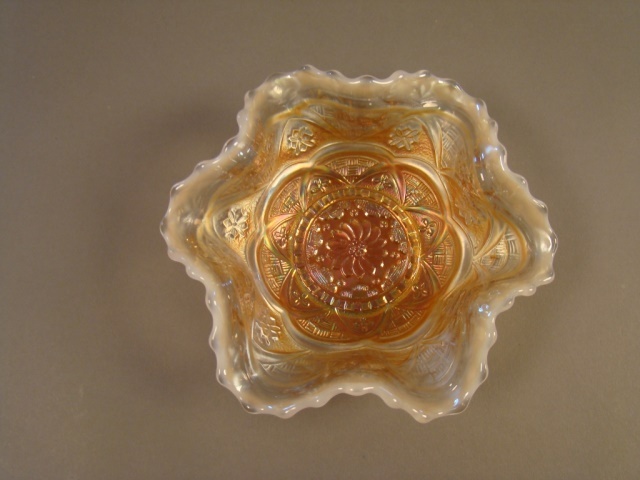 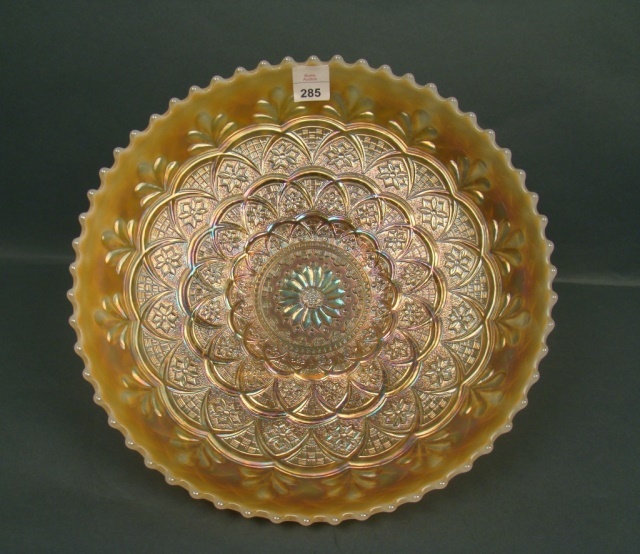 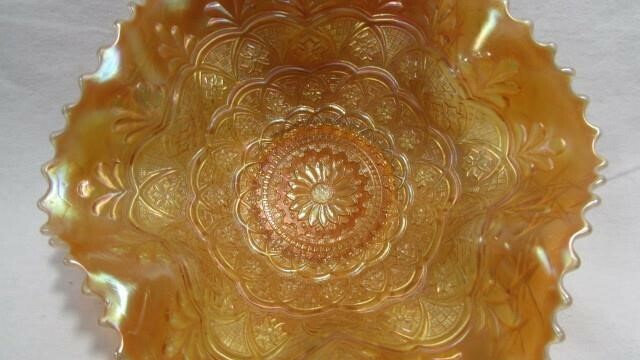 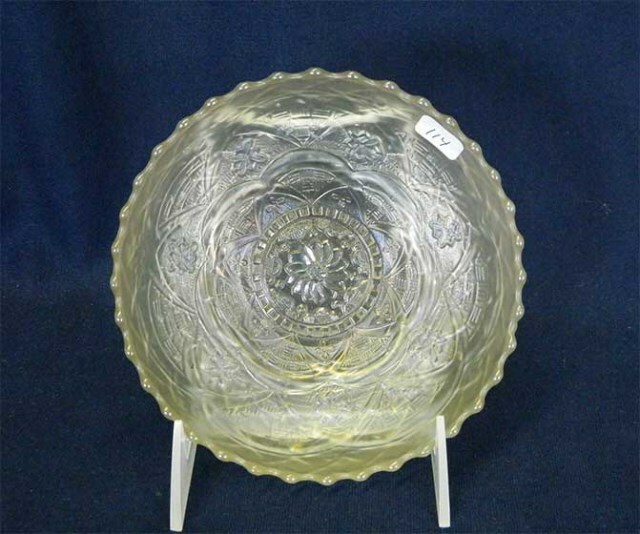 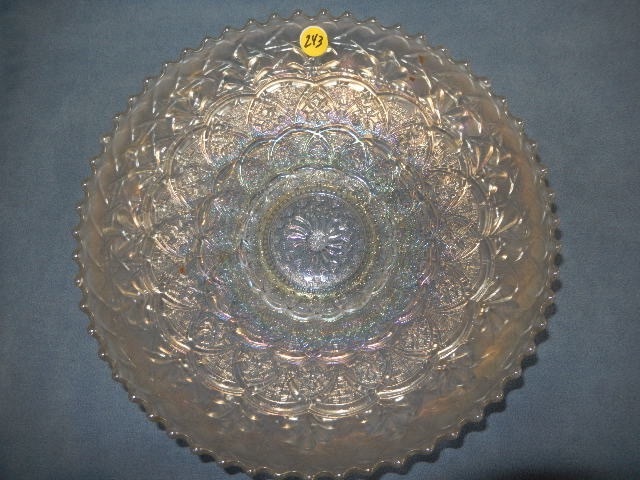 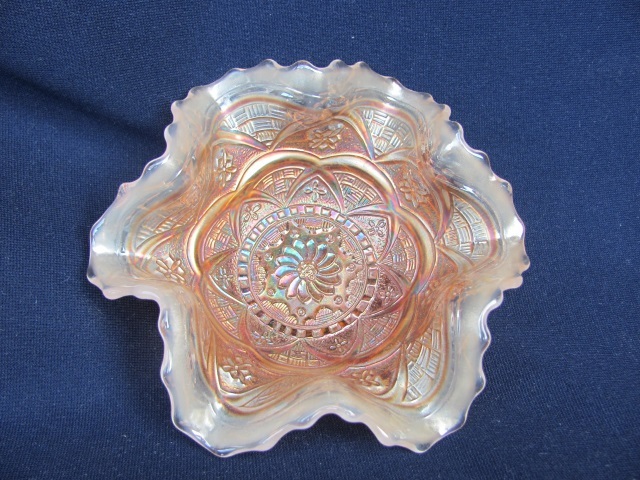 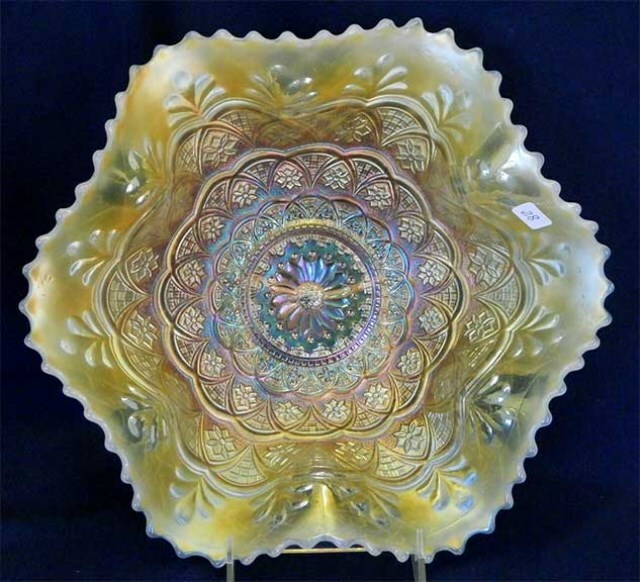 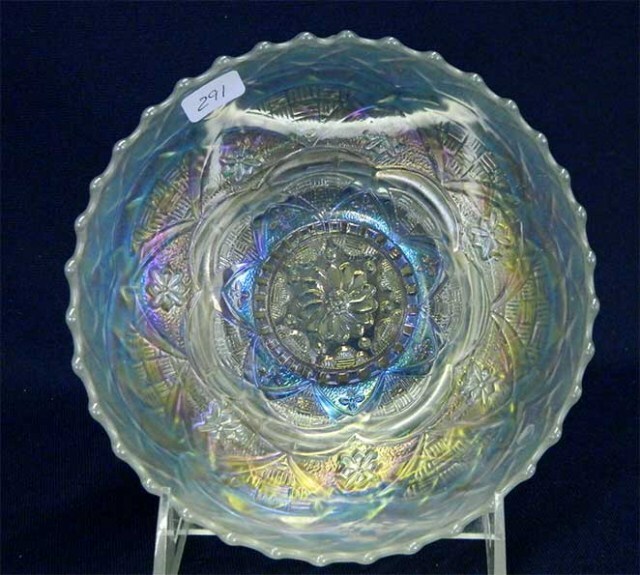 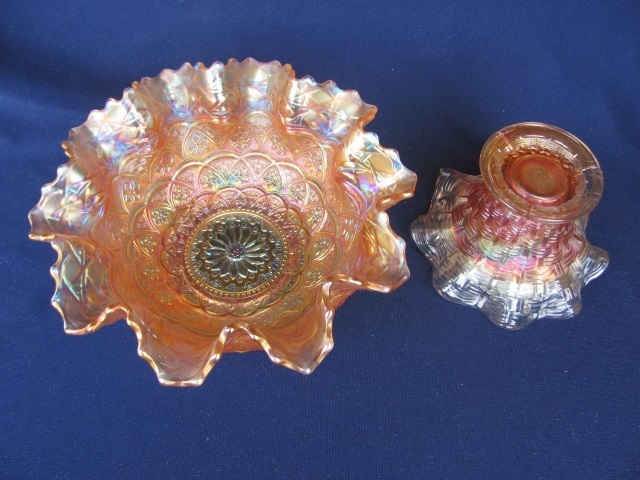 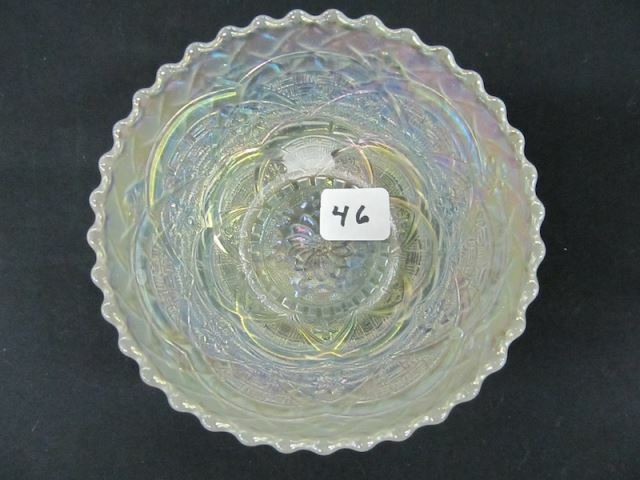 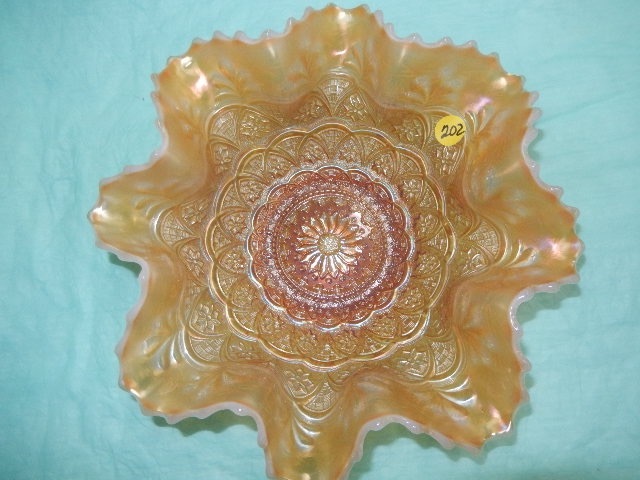 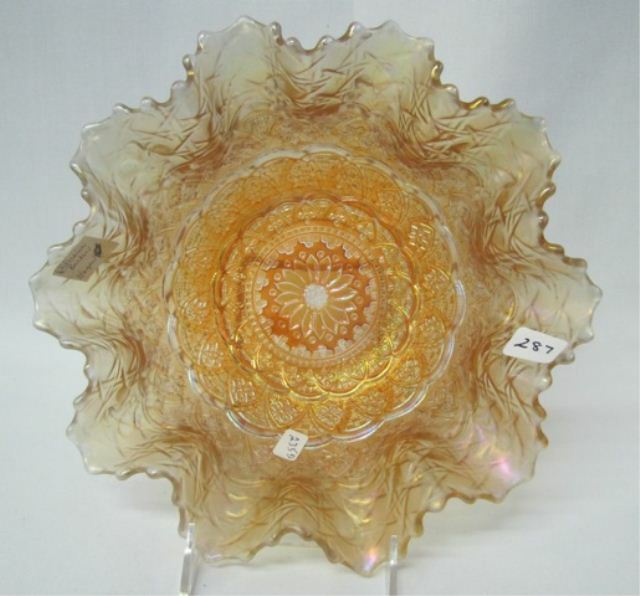 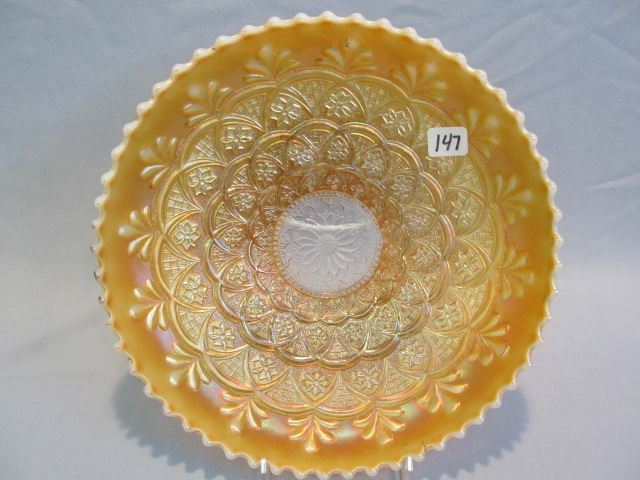 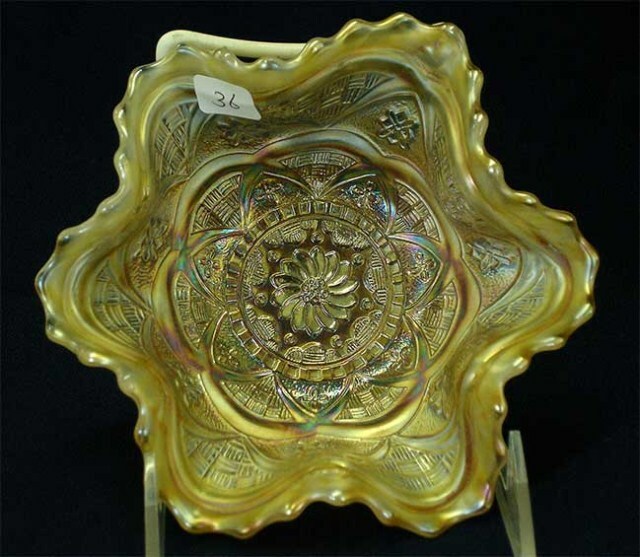 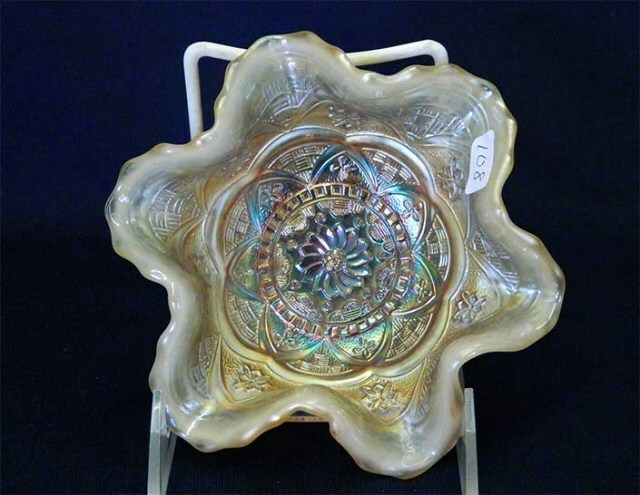 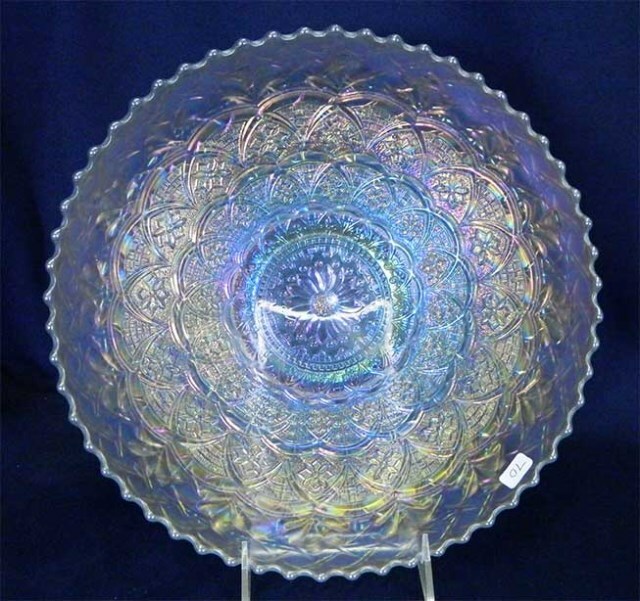 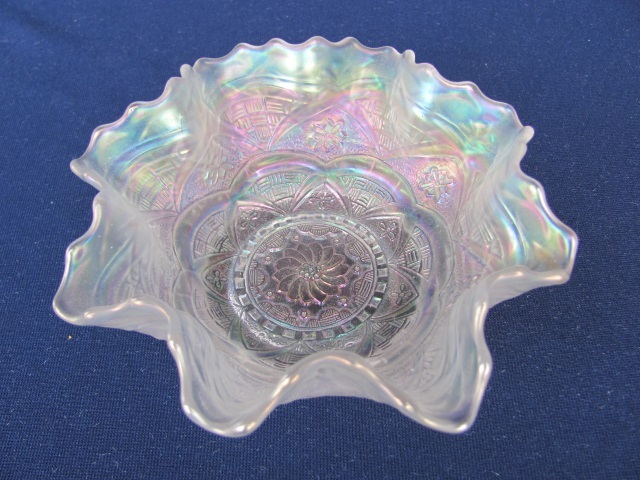 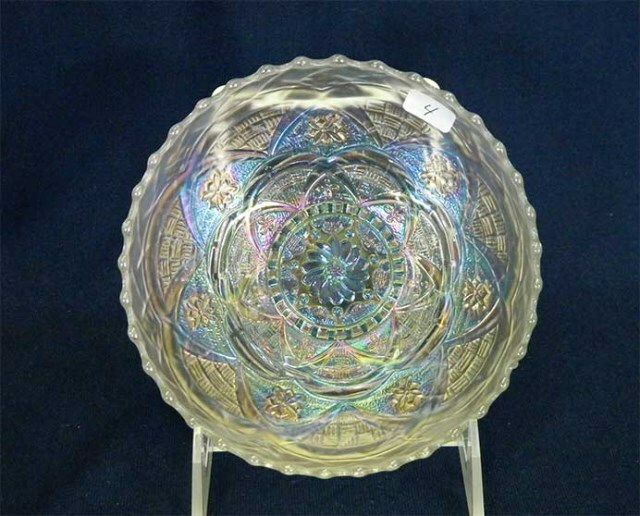 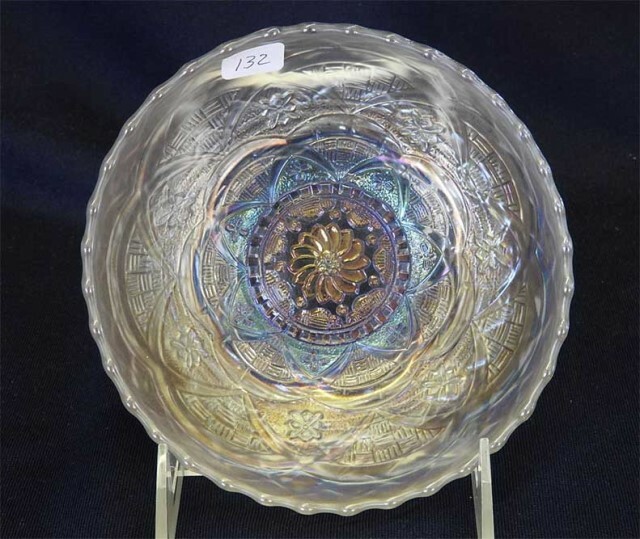 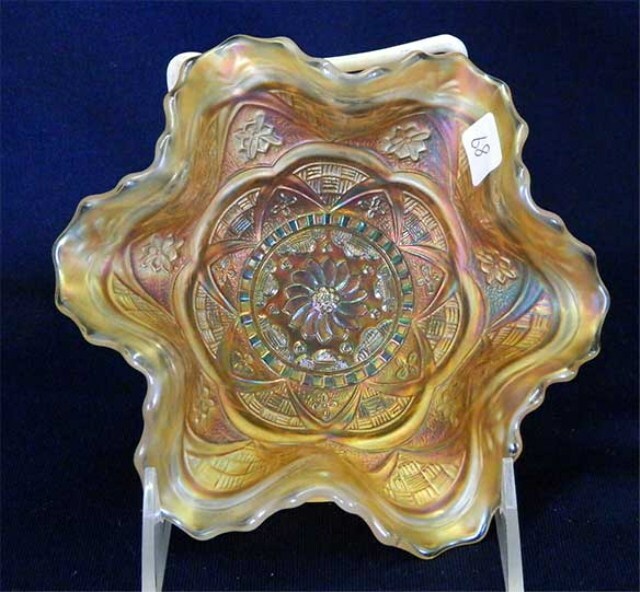 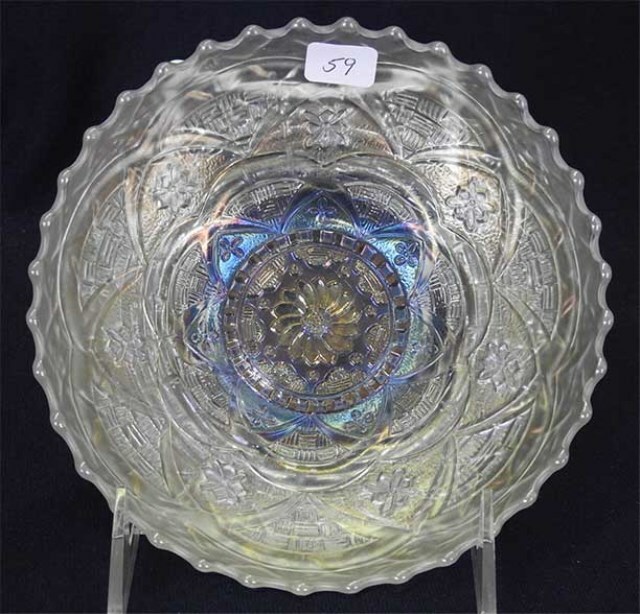 The base to the fruit bowl is made from the same mold as the Big Basketweave vase, but ruffled in this case.